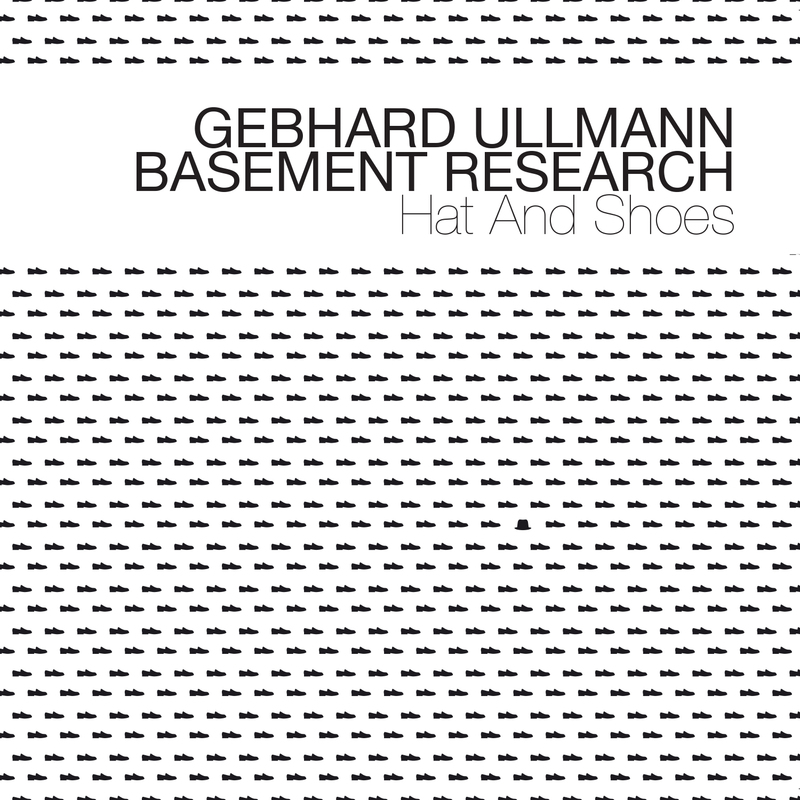 Gebhard Ullmann celebrates twenty years of his band Basement Research with a striking new CD Hat and Shoes to be released February 10, 2015 on Between the Lines. Featuring the renowned multi-instrumentalist Ullmann, trombonist Steve Swell, saxophonist Julian Argüelles, bassist Pascal Niggenkemper, and drummer Gerald Cleaver, the band’s 7th CD showcases improvisors at the top of their game and Ullmann’s rich, dynamic compositions. This is Ullmann’s 50th CD as a leader/co-leader. Basement Research’s first album – featuring Ullmann with Ellery Eskelin, Drew Gress and Phil Haynes – was released in 1995 on the Italian label Soul Note. Many albums later and following careful changes in the line-up, the consistency of the research project is still clearly detectable: discovering the basis of improvised music, the mechanism of musical dialog, the search for previously unheard sounds and the secret of nonverbal, intuitive communication between individuals. This only works live and in real time. It is not a matter of chance that all previous six albums by Basement Research were released in connection with or as the result of a tour. This tradition is being continued with Hat And Shoes. With the current line-up, you can also hear how five musicians nimbly and apparently effortlessly tread their twisting paths through a soundscape created in free improvisation. Chance does not reign here, but instead each individual participant is equipped with a precisely aligned compass that masters all orientation laws, but also recognizes in split seconds where the right tone has to be using big ears. Suddenly, a delicately arranged, groovy and driving theme shines through again: but was that at all written? These questions do not count with Basement Research, because all pieces are actually both: focused and according to plan, but open for surprising twists and turns at the same time that none of the protagonists may have anticipated. Gebhard Ullmann has scored a great success with the choice of the current band members; Basement Research is just as lively and fresh as two decades ago. Gebhard Ullmann, born in 1957, is one of Germany’s leading musical personalities and one of the most prolific and creatively fertile composer-improvisers working on either side of the Atlantic. He has released 50 CDs as a leader and co-leader and several have been chosen as among the best CDs of the year in DownBeat Magazine. He heads numerous bands (among others, Tá Lam, Conference Call and the Clarinet Trio) and is a sideman for Scott DuBois and Guenter Lenz, among others. The always-busy musician has played with innumerable co-musicians from William Parker to Keith Tippett, from Willem Breuker to Michael Riessler and from Bobby Previte to Alexander von Schlippenbach. Ullmann has also received numerous prizes and awards. Blessed with this rich treasure of experience in almost all jazz styles, he is the engine of and source of ideas for Basement Research. Steve Swell (born in 1954) has played alongside Lionel Hampton and Anthony Braxton, among others. His virtuosity is remarkable as well as is his range of structuring options for sound, tones and lines of music. He is a leading figure of the New York Downtown scene and is considered one of the leading trombone players in today’s jazz. The Englishman Julian Argüelles (born in 1966) became known to a larger audience thanks to his participation in "Loose Tubes" and the "Carla Bley Big Band" in the ‘90s. Subsequently, he has played alongside numerous, known musicians from John Scofield to Dave Holland. He is also in demand as a composer; he has been contracted to compose for numerous international ensembles, many of which received awards. Pascal Niggenkemper, born in 1978, is one of the most renowned German and European bassists performing today. He released two CDS with his New Yorker Trio (with Robin Verheyen and Tyshawn Sorey), upon which critics lavished high praise. His playing in the bands from Joachim Badenhorst to Gerald Cleaver also attests to his skills. Gerald Cleaver (born in Detroit in 1963), 2013 "Rising Star" in the drum category of the DownBeat Critics Poll, is considered since many years one of the most important drummers in contemporary music, a fact that he has clearly proven through his collaboration with musicians such as Craig Taborn, Charles Gayle, Roscoe Mitchell and Wadada Leo Smith. Wo bitte geht´s hier zu den Hackeschen Höfen? "Jazzthetik Best Of 2015, Andreas Collet, Category "Wild Thing"." "One can not romance enough over the genuineness of these tracks. Possible that this CD is the temporary highlight of Gebhard Ullmann's career." "A completely new and musically interesting CD." "(...) one of the best releases of his career. The mix between power and vernier adjustment, the spontaneous composed expressiveness and the instrumental singableness is reminiscent of a great bassist." "Free Jazz at its best"
""Ullmann himself excels on both tenor and bass clarinet."" ""For this planned and spontaneous music it's a dream cast: quickly reacting, with multifaceted tone, witty, concentrated and without ego trips.""